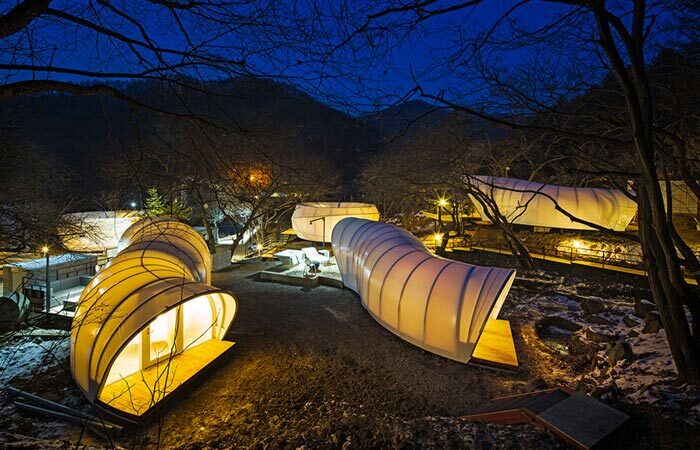 Designers Jeong Han Kim, Sungha Lim and Hyumook Lim created a unique outdoor tent called the Doughnut Tent. This invention of theirs brings so many innovations to the traditional tents and absolutely has the potential to change the way we see camping. 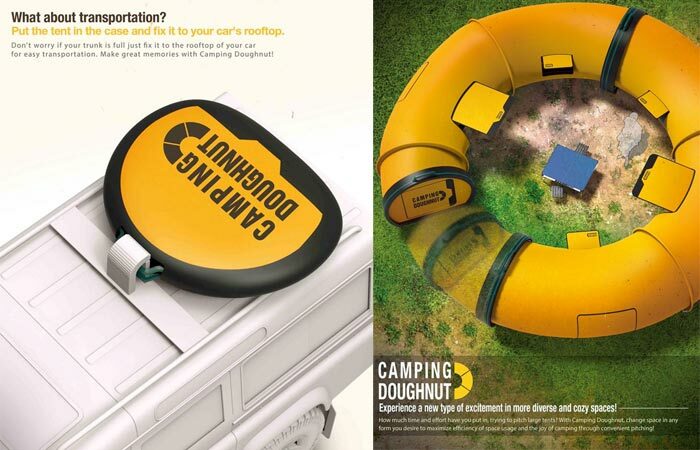 Namely, the tent is obviously doughnut shaped, which might seem a little bit odd, but do not worry, in this cylindrical tent you will not feel like in one of those obstacle course tubes, since it is really spacious. Also, it can be shaped just the way you want it to, so it will fit your needs and provide lots of comfort at any given moment for up to 4 people. There are 4 different shapes available and each one of them has its own advantages. The first one is the “I” shape, which is a single, straight tube that will make your tent really vast, the second is the “C” shape and this curved shape offers a shelter from the wind, the other two are “O” and “S” shapes, but in order to create these, you will need 2 of these tents. The main perk of the Doughnut Tent is the fact that it can be set up very quickly and effortlessly, which means that this easily collapsible tent will save you from the most annoying part of your trips – pitching of a common tent with all those bars, screws, sides, etc. It comes only in yellow color, which is justified by its name and shape, but it would probably look great in any other color, as well. 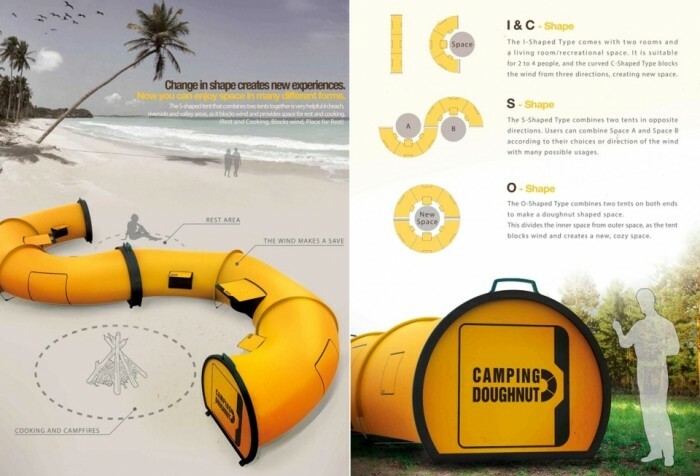 The Doughnut Tent is a truly awesome, good looking tent and even though the idea of camping in a cylindrical tent might sound strange, it is totally useful and once you get to use it, you will realize that it should be a must-have item during every outdoor adventure.